This is a super common situation that many people find themselves in every day. It’s so common that I’m in the middle of creating a very detailed guide that breaks down not just the step by step, but explains the concepts involved. Even as I work on developing this guide though, the questions keep flowing daily and I needed to put the long version on pause to get something much shorter and easier to digest out and in front of the people who so desperately need it. There are some essential steps to follow when bringing a new puppy into a home with an older dog. Whether the pup has yet to come home or the pup is already home and there are some challenges being experienced, reflecting on the process as a whole, and the concepts within, can be very beneficial regardless of your current place in the timeline. The first thing to address is the existing dog(s) in the home. This is to begin ideally before the pup even comes home. If the pup is already home, then its time to start immediately with re-establishing the ideal relationship with the older dogs. What is the ideal relationship? All dogs, regardless of age, breed, gender, or personal background THRIVE when partnered with a strong, objective, appropriately assertive, LEADER. Back in the day, this was mistaken to mean a heavy handed or physically commanding person, but this is incorrect. Today it seems people have flipped to the other extreme, becoming far too emotional and often coddling their dogs which is just as problematic. The middle-ground is where the answer lies and is where the concepts to achieving this “ideal” relationship is found. While explaining the dynamics of developing a leadership role and healthy relationship is far beyond the scope of this post, there are some basics you can begin with. In order to ensure that your older dogs see you as the leader, which they NEED to do in order to set up any introductions to be successful, take time daily working on your communication with them. This means every day, at least 3-5 times a day you should be working on the most basic of obedience commands. Things like a solid recall, down, and “leave it” are essential for any dog to be solid on whether they are in a single dog home or getting ready to get a new sibling. Controlling resources is how you assert yourself as the “leader” and little to no physical contact is needed to do that. 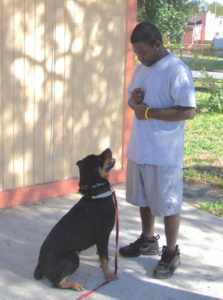 The dog should be fed via obedience training and always after first doing something requested of it. There are other resources besides food though and they are equally important. 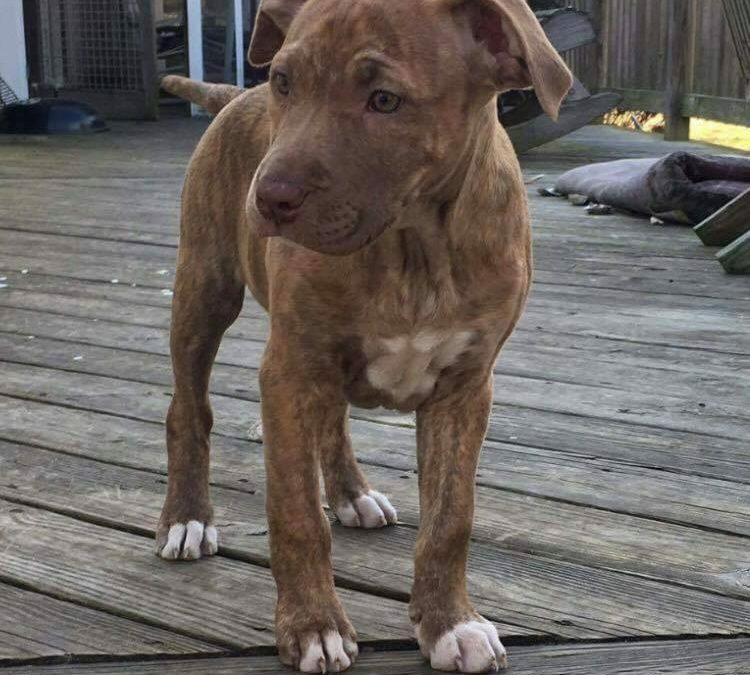 If you have a dog who you affectionate label as “spoiled” then you are headed down a challenging road as this will increase the chances of issues with the puppy’s introduction. Affection is usually the major culprit as folks often drastically underestimate the power and value our touch has on our dogs. A spoiled dog is one who is constantly cuddled, pet, and coddled for no reason other than you feel like showing your “love”. To the human, it makes sense. To the dog it is confusing. Treat affection like food, make sure the dog does something, ANYTHING, prior to receiving affection. This doesn’t have to be complicated. When you feel the urge to cuddle your dog, simply get up, walk away, and call them to you. When they come over, kiss and cuddle all you want. To the dog, he had to oblige your request in order to receive the affection. This is how you can be a leader without having to decrease the amount of belly rubs. Just increase the amount of requests you put on the dog and then reward with the affection. 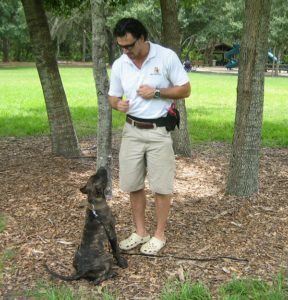 If you do not have a dog whom you can control, you will not be able to handle the potential issues that can arise should something go sideways during an introduction. Before you can even think about an introduction, the puppy needs time and space. The first day home is NOT the time to do any introductions to existing dogs, pets, or even extended family members. If you have small children you need to explain to them the puppy needs to relax and get used to its new surroundings. This puppy’s entire world has been turned upsidedown. Everything it knows about the world has changed in an instant. Every relationship it has built has been taken away. Even for the most sturdy puppy this is a big pill to swallow. A swarm of animals, humans, or super excited children will only make the puppy’s first moments in your house more stressful than it can handle. If you introduce the puppy to its surroundings in a calm and relaxed way, you are setting yourself up a smoother future as this will be how the puppy sees your home. The puppy should not receive tons of attention but instead be taken to its new bedroom, which is the crate and should be in a relatively quiet part of the house. From that point moving forward you are working on the primary goal which is housebreaking and it begins right away. The puppy will go from crate to the designated potty area, and that’s about it. Again, no introductions to other animals. The puppy will need to first develop a trusting bond with YOU before it can be expected to properly handle any dog introductions. In the beginning the majority of the puppy’s food will come directly from your hand and will be given during the process of teaching the puppy its name and introducing it to the crate. (click HERE for info on how to introduce the crate). As you build the bond with your puppy and it learns to see you as the most important part of its life, you are getting closer to being able to make introductions to other dogs in the house. So now you have re-established a leadership role with your older dog while simultaneously building a trusting bond with your puppy. Time for the first introduction. Take your older dog for a loooooooong walk and follow that with a lung busting exercise session. Tire the dog out as much as you can safely do. The tongue should be hanging out and the chest should be heaving. You want that ol’ guy tuckered out. While still tired, try and find a place where the dogs can safely run a bit. If you have done the right amount of work with obedience you should be able to trust your dog in an empty park while dragging a long line. This is where the first introduction should take place. As long as you are not on your own property you should be good. The general idea is to decrease any possible territorial response the older dog might have. The puppy won’t exactly be a stranger to your older dog, or vice versa, as they have been smelling eachother for at least a week in the home. This is simply an opportunity for them to finally get to interact. Keep the session VERY short, no more than five minutes if everything goes well. If you older dog shows any tension or aggression, cut the session off immediately and go back to working on your relationship with him. Even if it goes great, keep following the above steps for a week, simply increasing the amount of interaction. So far it’s only been two weeks. Now you can do an in home play session. Just make sure to follow the same routine as before by completely exhausting the older dog before any interaction. Your the leader, so its YOUR job to police these play sessions. Let them play, even if its a bit rough at times, and you be the one to decide when its over. Some older dogs simply don’t want to be bothered with a young exuberant puppy. This is not unreasonable as puppy energy combined with puppy teeth can be quite the annoyance. Don’t ever force an interaction. If the older dog has had enough, again it’s your job to step in and end the interaction and give the guy a break. Remember, you are the leader, and you must protect the interests not just of the puppy, but the older established dog as well. When the in-depth-guide is complete I’ll be sure to include the link in this article. In the meantime, be sure to sign up and register below or in the pop up so you can get instantly notified when it or any other new stuff hits the streets. Plus you will get a free copy of Operation Dog: Declassified, the instruction book that should have come with your dog! It’s totally free and you can even un-subscribe after you download your copy.